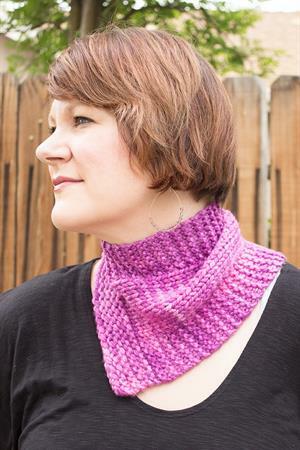 Dragonfly MKAL/MCAL Recap & Reveal! Interpretations Collections from Joji and Veera! It's time for the next installment in our Toshstrology 2016 series: welcome, Gemini! Those born under this Air sign are blessed with artistic and creative qualities and are often social butterflies, so the Tosh dyers created a lovely, vibrant pinkish-purple to represent The Twins! 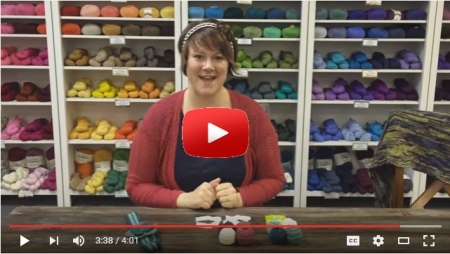 Grab a skein in your favorite Tosh base and let those creative talents shine! If you're looking for inspiration, check out what we've been whipping up! 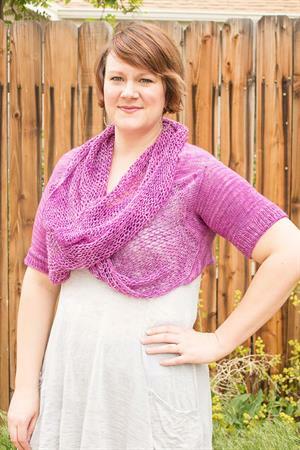 Kristen created the delightful and quick-knitting Gemini Cowlette with just one skein of Tosh Sport as part of her Toshstrology 2016 Collection. A subscription to the whole year of monthly patterns is available for just $15 on Ravelry! And, Monika has designed a gorgeous, lacy, crocheted hoody-cowl using one skein of Prairie that she's playfully calling Twice As Fun! 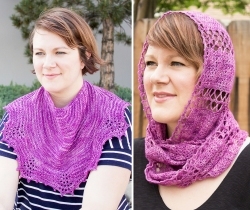 Jeanne joined in the fun as well with a stunning, lace-studded shawl design called Boysenberry Sherbet, which uses Pashmina for an ultra-luxurious project! And, for those color-lovers born between two signs, Rachel has planned a special design called On the Cusp, which uses 2 of the Toshstrology colorways in Twist Light: Gemini, plus next month's Cancer installment, which is grayed out in the photo as to not spoil the surprise! 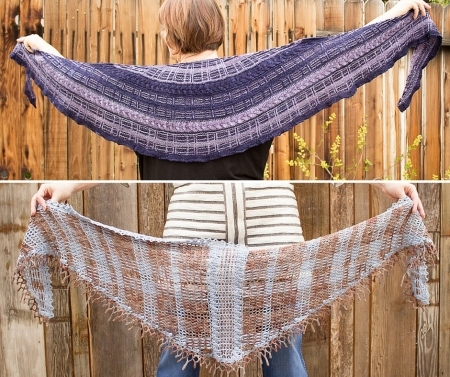 The pattern pre-order will be half off until the Cancer colorway is released (and we're keeping that beauty under wraps for now, so think of it like a fun Mystery Shawl Project!)! 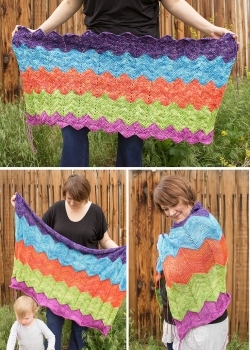 For even more project ideas, check out the Project On Our Needles section below! And, don't forget to take a look at the latest addition on the Toshstrology Blanket in Tosh DK: the rosy hues in Gemini look fabulous next to the limey green of Taurus! If you haven't yet, pick up a Toshstrology Blanket Kit and knit or crochet your own with these fabulous colors as they're auto-shipped to you each month! 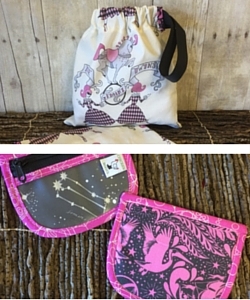 Our Chicken Boots notions this month are a double delight: a Special Stitch Marker Pouch decorated with Gemini motifs in a chic pink that goes with this month's color, and a Small Wristlet with cute pink twin performers! 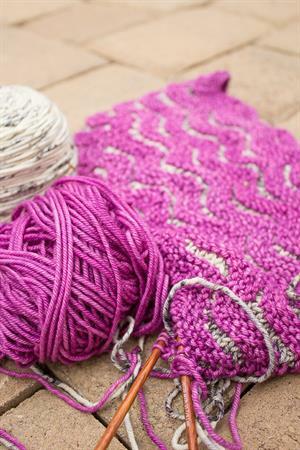 Both are the perfect additions to your knitting bag! 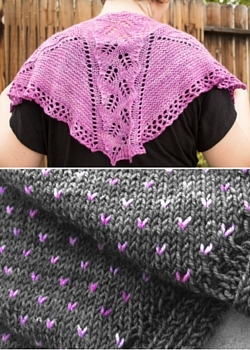 Finally, here's our Gemini yarnoscope: Gemini, your versatility and energetic nature mean you're likely to take on diverse and sundry projects - just be careful not to get too many things on the needles, as you're easily bored (and a bit indecisive at times) and we don't want that beautiful yarn to languish untouched! How about this: since you're a social animal and always up for a bit of fun, why not take on a project with a friend or group that you can all make together? Knit- or crochet-along, anyone? All good things must come to an end, and we've come to the end of our 2016 Dragonfly Mystery Knit- and Crochet-Along! Hundreds of knitters and crocheters joined in to create beautiful, tartan-inspired shawls as they watched the most recent season of one of our favorite shows - an amazing feat, considering the temptation to just stare at Jamie...er, we mean the beautiful Scottish and French scenery! Rachel and Monika designed truly unique pieces that put our March Lorna's Limited Edition color, "Jamie's Kilt", to great use with Scottish "plaid" themes in tribute to our kilt-wearing (and kilt-loving) hero and heroine! If you missed the main event, just grab two coordinating skeins of Shepherd Sock (give the shop a call for help choosing colors! ), download the patterns on Ravelry, and get to work - you'll have a gorgeous shawl in less time than it takes to fall through the Standing Stones! The verdict is in: the May Baby Beanie Bags are awesome! And with good reason: take a look at what was in them! This month's bag was overflowing with luxury: 20-yard samples of four different yarns in complementary color schemes, plus a sparkly and spectacular (and snag-free!) Swarovski crystal coil-free stitch marker from Stitch Sprouts, and a travel-friendly packet of Soak Wash! 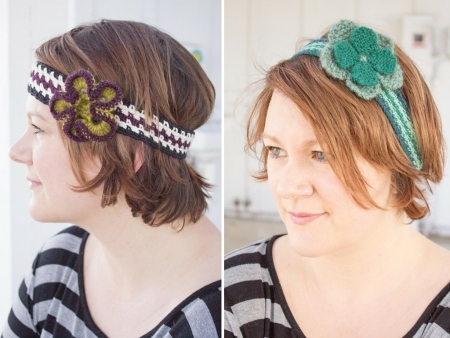 To put all of these treats to good use, we also included both knit and crochet patterns for a charming head band from Ann of Freeform Fibers! Take a gander at the video for an in-depth look at all the goodies! Then, head on over and order your own Beanie Bag Subscription! For just $10 per month (or $15 for Canadian customers), we can make magic in your mailbox each month! They've taken Ravelry by storm, and now we're lucky enough to have all three of the Interpretations pattern collections in stock! 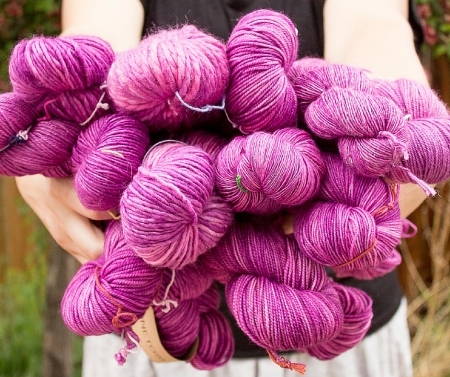 Muench Big Baby & Touch Me Yarns 50% off! Muench Full Bags Just $10! Cascade Yarns Now 50% Off! Madelinetosh Onesies - 15% Off!